Once you’re past the trial period and have decided to go on together, that doesn’t mean you’re married for life. You may sail along on similar seas for eternity. But quite often there comes a time when you need to write that Dear John/Dear Joan letter. Sometimes you outgrow a critique partner, you’ve given each other all you can and now it’s time to move on. Sometimes one writer’s goals change, you may both start as casual hobby writers, but may change your commitment to the craft in either direction. Sometimes time and distance become a problem. And sometimes there has been a thread of toxicity stinking up your relationship from the beginning and has grown to be a serious detriment to your creativity. 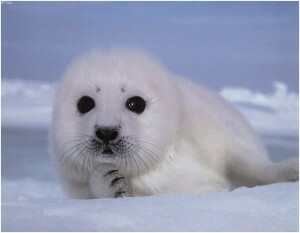 Such is the case I’ll call, The Clubbing of the Baby Seal: I was in a group. It was working. When someone asked to join our group, we didn’t evaluate our dynamic and assess what would change. We didn’t establish a specific trial period. This person was unassuming, exuding vulnerability on so many levels that the baby seal moniker was set in my mind immediately. No one had any objections upon initial meeting—who could object to such a gentle person? So off we went. This person’s chronic health problems (all part of the air vulnerability) occasionally prevented attendance, so it took some time for the pattern became clear. Once it was, we tolerated; for this was really a nice person, just not mixing well with our format. The same material was presented meeting after meeting, with no changes from the previous critiquing (regardless of the reminders that new material should be brought). When suggestions were made, they were met with argument, not discussion. Whenever we were discussing other people’s works, the baby seal sat like a stone (I’m not even sure any of our works had been read). We were unhappy, but pushed on with gritted teeth and scrunched brows. The person was so…so…so baby-seal-like, what else could we do? But the baby seal was becoming a toxin to our meetings, a soft spoken, innocent looking toxin, demanding respect not shown in return—and surprisingly assertive for someone in such frail health. Was it just me? Was I the only one who felt the seal was destroying our group? Then, one by one, I began to see it in the other members’ eyes. Still, no one wanted to be the first to say the baby seal needed to go. It was weeks before we finally broached the subject. The consensus was the same: How could we be so cruel to someone who was so nice and appeared so fragile? We delayed. The baby seal grew more demanding. It wasn’t just the time the seal took away from more productive critiquing, the cloud of negativity was enveloping all of us. In the end, someone had to do it, someone had to club the baby seal. We had a reluctant volunteer. I’m ashamed to say, I wasn’t it. The clubbing was done. The baby seal left our group. A lesson was learned. One I’m happy to share with you with the hope you’ll be better prepared and not end up in a similar situation. This all could have been avoided with the right stipulations laid out in the beginning … then again, maybe not. The same ugliness might have come when the trial period ended. However, the group wouldn’t have endured months and months of our productivity decreasing by the half-life with the radiation of that toxicity. I suppose it’s like dating in this way, too. No matter how prepared we are, how carefully we proceed, sometimes it comes to a messy end. But we can’t let that prospect chase us away from the quest for that just-right relationship. Do your best to safeguard against failure, then get out there and look for your writing partner. The creative process is solitary, and yet it’s possible to find a synergistic partnership if you look. Almost always both you and your work are better for it, no matter how it ends.